Unfortunately we are away from home for the holidays but luckily we get to start the new year off right with our friends in Bristol, Tennessee! 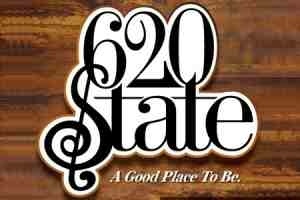 Come join us at 620 State and help us bring in the new year. Show starts at 10. Wherever you are, Happy New Year. Bring it on! Sorry to do this… but I have the same wordpress theme… and I can’t figure out how to get my social media link buttons to show on top… I would appreciate any help! Thank you. I honesty can’t remember – I just went off the Soundcheck faq/support pages, which are really good. Most likely someone has had the same problem, I’d check here: http://premium-themes.forums.wordpress.com/forum/soundcheck and you will probably find your answer. Good luck!